The president did ask me to come here to Brussels — to the home of the European Union — and deliver an additional message. So today it’s my privilege on behalf of President Trump to express the strong commitment of the United States to continued cooperation and partnership with the European Union. Whatever our differences, our two continents share the same heritage, the same values, and above all the same purpose: to promote peace and prosperity through freedom, democracy and the rule of law and to those objectives we will remain committed. In a world in which everything is global, in which the problems are global — from climate change to the movement of people — there is no way countries can do it by themselves. We need global responses, and global responses need multilateral institutions able to play their role. Of course, if anyone doubts that Guterres and his fellow internationalists who met in Dubai really want to submerge the sovereignty of nations into a one-world government, the name of their confab — the World Government Summit — provides a good clue! Globalism certainly creates some problems that we all need to solve together. But what should really scare us is a [leader like Trump] not willing to live up to the challenge. Trump also threatened to pull billions in U.S. funding to UN climate change programs, and gave Brexit supporters great encouragement when he met with UKIP leader Nigel Farage, the primary leader in the movement in England. Is Pence speaking only for himself? Or do his remarks signal a radical change in policy for the Trump administration? Is this a capitulation to globalist forces that continue to populate vital positions of influence in the new Trump administration? Are Pence’s words just meant to sooth concerns and smooth ruffled globalist feathers? If they represent a major policy change, then what about Brexit? Do they encourage those still working in the United Kingdom to stay in the EU, while undermining the vote to leave last fall? More darkly, is Pence telegraphing his allegiance to the New World Order in the event Trump is no longer president? Are these words an “insurance policy” for insiders that Pence will not overturn the apple cart should he become president? Trump will need to complete the formal withdrawal from the Paris Agreement, cut off the funding to the UN agency promoting (mostly with American taxpayer dollars) policies concerning “climate change,” push NATO to fulfill its financial obligations, actively support Brexit, and step away from the seemingly unlimited and eternal support for the EU that Pence provided globalists on Monday. 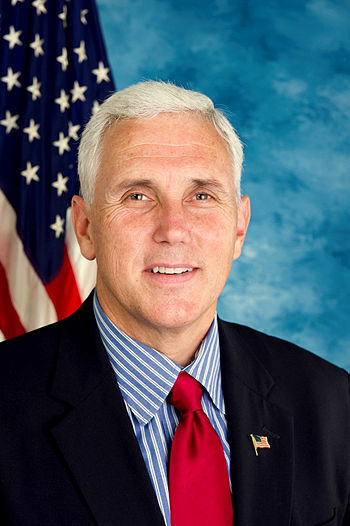 Only then will U.S. citizens who support national sovereignty be able to breathe again, believing that their newly elected president means what he says — Pence’s words to the contrary notwithstanding. This entry was posted	on Tuesday, February 21st, 2017 at 6:29 am	and is filed under Foreign Policy. You can follow any responses to this entry through the RSS 2.0 feed. You can leave a response, or trackback from your own site.